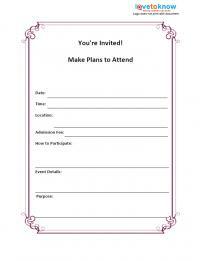 Need to get the word out about your event, but don't have a lot of time? You can always create a flyer from scratch, or refer to sample flyers for ideas and create something from your sample. 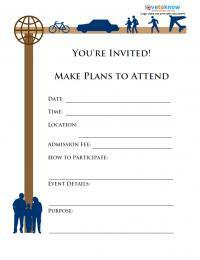 However, it's much easier when you can also use a predesigned, printable flyer as a promotional piece for your event. These printable flyers are typeable PDFs which means you can type in your information, and print as many copies as you need. 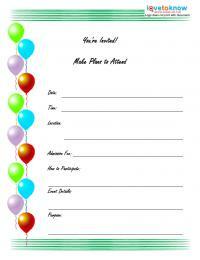 Alternatively, you can print the flyer, handwrite the information and make as many copies as you need. To view and edit a flyer, simply click on an image below. If you need help downloading the flyers, check out these helpful tips. Once you have a head start on deciding what type of information needs to be included on your flyer as well as an idea for how to set it up so that it will be visually appealing, you can design fundraising flyers for any event imaginable. 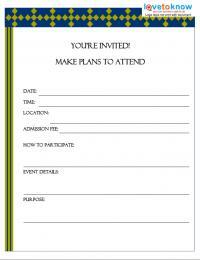 Flyers are a great way to get the word out about your event and raise awareness for your cause. Be sure to ask permission before hanging a flyer on a public bulletin board or on private property. You will want to abide by the rules, and post or distribute fundraising flyers only where you are allowed to do so.